Lochte Feed carries show supplies year around so you can feel confident during show season or entering summer jackpots. Stay on top with winning Show Steer products. 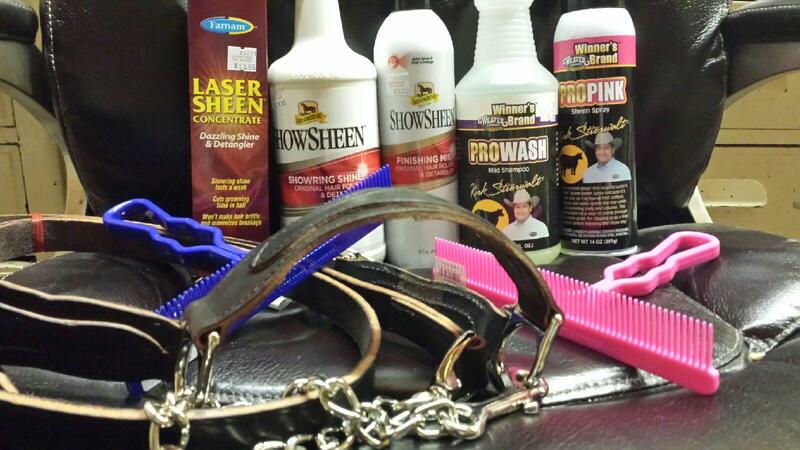 We carry ShowSheen, Laser Sheen, Pro Wash Mild Shampoo and ProPink Sheen Spray also with halters, combs and much more. Lochte Feed is committed to carrying the best quality show products, feed and supplements for our customers. Your success is our success. Come by our location in Fredericksburg, TX to speak with our show experts for all your show animal questions and needs. We look forward to seeing you and serving you at Lochte Feed & General Store. This entry was posted on Wednesday, June 14th, 2017 at 4:29 pm	and is filed under News & Updates. You can follow any responses to this entry through the RSS 2.0 feed. Both comments and pings are currently closed.